A lawyer for the family of Michael Jackson said Tuesday that a will had surfaced and would soon be presented in court, as a funeral service began to take shape at the pop star's Neverland Ranch. Attorney L. Londell McMillan said his clients are now aware of the will, and the late singer's advisers are looking for additional documents. The Wall Street Journal reported of a will dated 2002 that supposedly divides Michael Jackson's assets among his mother, his children, and charities. There is no mention of his father Joe Jackson. "Joseph was quite a bully when Michael was young," said CBS News consultant Joe Randy Taraborrelli, a Jackson biographer. "Joseph had a way of getting a performance out of his sons." The existence of a will, and the likely appointment of an executor, could complicate a petition by Jackson's mother Katherine to become the administrator of his estate. CBS News correspondent Ben Tracy reports that in a court filing late Monday, Katherine Jackson's concerns were clear: a "variety of people may come forward with what they inaccurately claim to be a will," that Michael Jackson's "financial life was in transition" when he died and "numerous bank accounts exist controlled by third parties." Meanwhile, Jackson's nanny Grace Rwaramba denied reports that she routinely pumped the singer's stomach after he had ingested a dangerous combination of drugs. "The statements attributed to me confirm the worst in human tendencies to sensationalize tragedy and smear reputations for profit," Rwaramba said. "I convey my heartfelt and deepest condolences to Prince, Paris, Blanket and the entire Jackson family. The pain and sorrow I feel over the loss of Michael pales in comparison to what has been taken from them forever," she added. According to a report on TMZ, Jackson was not the biological father of any of the kids. Michael Jackson claimed to have a net worth of $236 million as of March 31, 2007, according to financial documents obtained by The Associated Press that shed light on the late pop star's murky finances and prodigious borrowing. The documents offer the clearest account yet on the state of Jackson's financial empire, which is expected to become the focus of a legal battle between the singer's family and creditors. Jackson had $567.6 million in assets, including his Neverland Ranch, his share of the Sony/ATV Music Publishing catalog that includes the rights to songs by the Beatles, and an assortment of cars, antiques and collectibles, according to a statement of financial condition prepared by Washington-based accounting firm Thompson, Cobb, Bazilio & Associates. The five-page report says Jackson had debts of $331 million, leaving him with a net worth of $236.6 million. Highlighting his shaky financial health, the singer known for his lavish shopping sprees had just $668,215 in cash, according to the report, which is dated June 12, 2007. The report says the accounting of Jackson's finances is "based on information produced by his advisers." It paints a pictures of Jackson's tangled finances and the mountain of debt he left behind. The report values Jackson's 50 percent stake in the Sony/ATV Music Publishing catalog - his most prized assets - at $390.6 million. 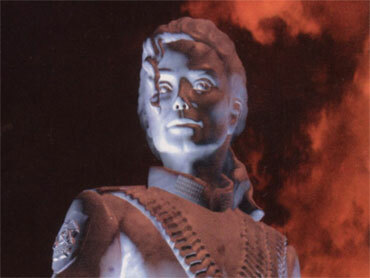 Another of Jackson's prized possessions, his Neverland Ranch, is valued at $33 million, according to the report. It says Jackson took out a $23 million loan against the 2,500-acre property in the rolling hills of Santa Barbara County. He also had $20 million worth of cars, antiques, collectibles and other property. Meanwhile, Santa Barbara County officials were in a meeting about Michael Jackson plans, and E! Online reports they are discussing a possible memorial service at his Neverland Ranch. Lt. Butch Arnoldi, a Sheriff's Department spokesman, told E! : "Our guys are meeting as we speak with the California Highway Patrol to discuss the security issues." Santa Barbara County Fire spokesman Capt. David Sadecki confirmed to The Associated Press that fire officials, California Highway Patrol and county sheriffs officials were meeting Tuesday morning to discuss "the whole Michael Jackson thing." "The Santa Barbara County Fire Department is willing to accommodate the Jackson family with whatever request they have regarding a funeral procession should they have one," Sadecki said. Sadecki said he had not yet talked representatives in the ongoing meeting but expected an update later in the afternoon. Neverland is located in the rolling hills of central California's wine country, about 150 miles northwest of Los Angeles. Rick Quintero, a spokesman for the California Highway Patrol, said the CHP had not received a request for a motorcade as of Tuesday morning. He said if the motorcade crosses through CHP jurisdiction, as it likely would from Los Angeles to Neverland, they would need to be notified. "They would definitely need to notify us because it's going to impact the motoring public. At the point they decide it is going to happen we have to be involved because it's going to impact our jurisdiction," Quintero said. In an open letter to the Santa Barbara community, Thomas J. Barrack Jr., who set up a joint venture with Jackson that took ownership of the 2,500-acre property, warned residents that the world will quickly descend on Santa Barbara and Neverland as fans grieve. "We must also prepare to accommodate Michael's family's wishes as they contemplate the location of his final resting place and their own return to the tranquil grounds of the Michael Jackson family compound." The California Highway Patrol has internal meetings under way to plan for a Jackson caravan that could bring Southern California's congested highways to a standstill. Sgt. Mark Garrett said the agency had not been notified of the family's plans, but was preparing nonetheless. "It's just like when the president comes to town," Garrett said. "We want to ensure people are not putting themselves in danger." At once a symbol of Jackson's success and excesses, Neverland became the site of a makeshift memorial after his death Thursday. Scores of fans have streamed past the gated entrance to leave handwritten notes, photographs, balloons and flowers. He was 29 and at the height of his popularity when he bought the ranch, naming it after the mythical land of Peter Pan, where boys never grow up. There, he surrounded himself with animals, rides and children. Jackson fled the ranch - and the country - after his acquittal on charges that he molested a 13-year-old cancer survivor in 2003 at the estate after getting him drunk. Jackson moved luxury cars, artwork, jewelry, costumes and other property off the ranch last year for an auction that never occurred.